Last Pick-Up with GSP Interns Josh, Craig and John (along with Douglas and Adam! ), a photo by ultimalaysia on Flickr. It was a bittersweet final game of pick-up at Padang Polo as Craig Milliard, Josh Motta and John Woods enjoyed 5 on 5 on a damp Sunday afternoon. Having arrived in Penang in late August on 6 month GSP internship, Craig, Josh and John left Malaysia with more than simply a taste of durian they’d never forget or the inability to ever look at a disc without seeing the faces of so many new friends in Malaysia. 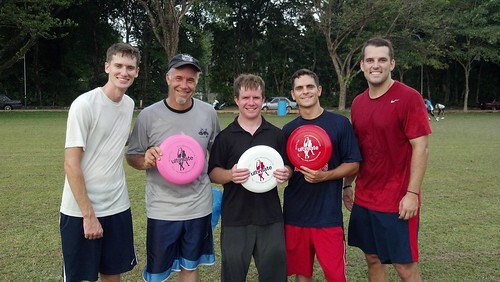 Through the friendships made, the interactions with people through Frisbee and beyond from Penang to Perlis and experiences one might never have back in the US, their lives have been enriched forever. Thanks to all of you who shared in this!